Throughout this book there have been frequent references to THE BRIDGE but so far there has been little attention given to discussing the nature of or validity of this concept. The traditional Bridge chart was headed with the words The Bridge to Total Freedom. The idea of progressing through anything by a gradient is a very well established principle in all aspects of Scientology. Applying this to gains in awareness and ability towards 'Total Freedom' does, however, seem to produce quite strong resistance and disagreement from some people. Firstly let us look at the particular origin of the concept. It first appears in 1950 in Dianetics -- Modern Science of Mental Health. In this book Hubbard talks about an engineer stringing a bridge across a canyon that divides two plateaus. The population live in discomfort and misery on the lower plateau. The hope is that life will be better on the higher plateau but because it is higher it is out of sight of the people living on the lower one, so they do not know for sure. Only those who have been there know what is on the upper plateau. So we get the idea of a bridge that goes up, rather than the usual idea of a bridge that spans across a horizontal divide! The current disagreements with the Bridge seem to fall into three categories. Firstly it is condemned by some as being evaluative because it tells people how their case is stacked and how it must be approached. Second the Bridge is seen by most as being long and hard. Thirdly, many people complain that it seems to be elastic as new bits are constantly being added onto the far end. Let us look at each of these points in turn. The first disagreement is that the Bridge is evaluative. It is natural that as thetans we should take a fiercely independent attitude to our 'case'. It feels very much our own. We are intimately familiar with it and no other person can be expected to understand it. While this reaction is natural, it can also be seen as a question of viewpoint. Most people need careful programming to assist them through the early stages of their case, which are usually very particular to that individual. It needs the most experienced Case Supervisors and most flubless Auditors to handle a case on its first steps on the Bridge. As the PC progresses, however, it will be found that his case falls into a similar pattern to many, many others. This can be seen as early as his progress up through the Grades. The same difficulties with communication, problems, withholds and ARC breaks crop up to be handlled with predictable regularity. This does not invalidate the thetan's individuality. Each thetan has a unique personality, and that means an immense variety of individuality, but the nature of their cases seem to be very similar. On the upper levels the same is true. The same patterns emerge over and over again. If we accept the probability that the Bridge is intimately connected to the Dynamics, it is to be expected that as a being progresses, his case will start to interconnect with the cases of others who represent his other dynamics. Thus towards the higher levels of the bridge it can be expected that the truth of the statement that 'No man is an island alone unto himself' will become increasingly obvious. On a more pragmatic level we should perhaps consider the Bridge as a map. We do not regard a map as evaluative because it tells us where we can expect to find things. A map does not give us detailed pictures of what we will see and experience on our journey. It only acts a general guide. We should not automatically trust all maps because they are maps. Until recently official maps sold in the USSR were deliberately misleading. A few minutes out with a street map of Moscow would tell one whether the map was a reliable guide or not. The only test for a map is to follow it for a bit and see whether it is accurate! You may choose to travel without a map and that is your privilege. But you may spend a long time wandering, especially if you have not been able to establish a destination! The second disagreement with the idea of the Bridge is that it is long and hard. That is factually correct. It takes a lot of time and work to get up the Bridge. At various times it has also cost quite a lot of money to move on the Bridge, but as money is an exchange mechanism for work of value, that comes to more of the same thing. It may not need to take a whole lifetime to get up the Bridge as far as we know it, but it will certainly require a number of years where one's whole life is built around getting up the Bridge. Unpleasant though it may be to confront this, it is no one's fault but our own. We cannot even blame Ron Hubbard since it is our case that the Bridge has been evolved to handle. We can console ourselves, however, with the thought that we must be quite exceptional beings to be able to confront both our case and the Bridge to handle it. Fortunately we can fall back on a proven Scientology principle in handling this issue. That is the principle of GRADIENT. Each step of the Bridge has a pay-off that we can identify and benefit from. The sensible way to approach the length and effort of the Bridge is to take one step at a time. The pattern outlined earlier in this book is that each step of the Bridge after Clear consists of clearing away an area of held or dispersed attention. The space that we clear, or attention that we free, enables us to rise further in our awareness and ability and to see who we are and where we are going. This clarity of vision does not last indefinitely. The next layer of our case gradually starts to move in on us and once again absorbs and disperses much of our attention until it too is handled. Another feature of case is that each layer that comes in has a similar 'flavour' to the last one we handled, This is because it is our case and it could be said that many of its characteristic features have permeated or spread through the many layers of our case. This can lead to a sickening recurrence of the same old considerations and obstacles at each stage on the Bridge. Fortunately we do not forget the cognitions or lose the certainties that we obtained during the periods of clarified vision and these fortify us in our future endeavours. After a while one begins to see the pattern of one's case and even accept the logic of the predictions of what will come next. There is a kind of mirror image of the pattern of the Bridge to the pattern of one's case. This may sound like a truism (so obvious as to not need saying) but in this context its meaning is that the Bridge is as it is to handle the pattern of our case, and not that our case is patterned to fit the Bridge! There are certainly temptations to become disheartened but these can be counter-acted by looking at the progress one has made and at the scope of what one is handling, and also at one's increased ability to operate effectively in life. Another factor to be taken into account is that the Bridge has two sides to it. In parallel with the levels of auditing and the gains to be had from them, there is a parallel gradation chart of training to done. This side of the Bridge IS not actually an optional extra but an essential part of obtaining the increases in freedom and ability that the Bridge offers. Many people are understandably resistant to the idea of studying and training to be auditors when they have only been in the subject for five minutes. Unfortunately many people have had studying difficulties in the past, which makes them resistant to studying the basic principles and practices of the subject. Why studying is necessary is because it is a fundamental aim of Scientology to make the individual more able. This means more at Cause. The more the individual is subject to a number of actions being done to him, and the less he knows about what is going on, the more he is effect of these actions. This may be necessary in the very early stages of case handling but as early as possible the individual should start to put himself at cause over the subject by learning about it. Auditing does put the PC at effect. As the individual goes up the Bridge the more powerful the auditing becomes. Thus the more the individual needs to put himself at cause over the subject to maintain the balance. The best method of getting at cause over the subject is not just to study it but to apply it. It can be observed that the more a person understands and can apply the theory and technology of Scientology, the faster their auditing goes and the more stable are the gains they achieve. This may smell of the worst aspects of indoctrination, which has come to mean filling a person with set beliefs and expectations. One can only ask, if given the choice, would you prefer to have something unknown done to you or would you prefer to acquaint yourself with it and then decide whether or not to test its validity? A second reason for studying and training is that as the person increases in causitiveness they will start to have an impact on the other dynamics. This will produce reactions from those dynamics and the individual needs to have the knowledge to understand and the technology to handle those reactions. It is frequently said that Scientology Technology (the techniques of delivering case gain to others), Ethics and Admin Technology provide all the essential tools for survival and success across the Dynamics. As the Bridge increasingly involves the other Dynamics, a good working knowledge of all aspects of the subject becomes a pre-requisite for progress on the Bridge. The axiomatic statement that it is necessary for one to learn how to deliver and administer all the technology in order to achieve the state of OT was made as early as 1963 in 'The Relationship of Training to OT" (Saint Hill Special Briefing Course lecture extract) and more recently in the HCOB Training and OT. So if one takes into account the Training side of the Bridge, it is even longer and harder than many people realise! Next we have the question of elasticity of the Bridge. 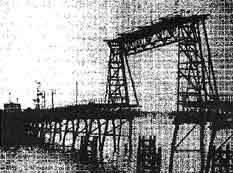 In 1950 Hubbard thought that the top of the Bridge had been reached with the state of Clear achieved by Dianetic auditing. Then came the discoveries of the fifties and the development of the technology to apply those discoveries over the next twenty years. For most of the seventies it was assumed that the Bridge finished at OT7, even though what was to be handled on OT 5, 6 & 7 was modified with the discoveries relating to NOTS (New Era Dianetics for OTs) in the late seventies. A further indication of the extending nature of the Bridge appears in Ron's Journal 30 from December 1978. In this résumé of the year's work, Ron Hubbard indicated that there were already several levels upwards from OT 8 researched but not yet released. Then in 1983 an extended 'Bridge to Total Freedom' was published by the CofS, which showed the upper levels going up to OT 15. No information was given about what was to be audited or abilities to be gained in the levels above OT 6. Since few people had at that stage reached beyond OT 6, there was not much discussion about these higher levels at the time. If we look at this full Bridge more closely, however, we can see that there is a stage called 'Caselessness' which is achieved at completion of OT16. This state of Caselessness can be related to the THREE UNIVERSES, referred to in 1954 in the Creation of Human Ability. Caselessness is described as no attention in the First Universe, which is one's own universe. After that there is no more gain to be had from auditing of or by oneself as there is no more CASE left to audit. The rest of the Bridge is concerned with games and actions in the other Universes. It will be observed that there is a discrepancy of one level between the state of Caselessness on the RONS Org Bridge and the top of the Bridge published by the CofS in 1983. Although not specified as this missing level, it is likely that the extra level was the discovery in ?1984 of what had to be handled on OT8, which has become known as the Excalibur level. It is not the purpose of this book to sell the RONS Org Bridge but to give the reader data about recent developments. The best guide to this new Upper Bridge is to be found in the published lecture called Admin Briefing Number 1, details of which can be found at the end of this chapter. For further mass and reality on this extended Bridge you would be well advised to obtain the chart showing the steps and also listen to the two later tapes by Bill Robertson, called Admin. Briefing Nos 2 & 3. The question still remains, is the Bridge elastic? I can only give a personal opinion based on my observations and studies. That opinion is that it probably is elastic and it is being further extended by the thetans who have reached the top of the current formalised, written down Bridge. From that point on you can probably write your own Bridge based on what you decide you want to achieve as part of the completion of the Bridge for the entire MEST universe. Ultimately there is, I believe, an end to the concept we know as the Bridge but it is based on completion of a much bigger cycle and goal than our own first dynamic freedom. You can, however, reach your own cognitions and conclusions on the subject by reading the Factors, Logics and Axioms of Scientology and Dianetics which are all to be found in Scientology 0-8. Finally we come to the question of how real or relevant is the existence of a Bridge anyway. Ron says in 'The Relationship of Training to OT' that a person may come into Scientology to cure their lumbosis, then they want to handle their family difficulties, and so it progresses. At that stage the goals of going Clear and becoming OT are unreal to the person. It seems that for most people the goal of the Bridge appears to change as they go up it. If you can recall the time before you attested to Clear, can you remember how little interested you were in the idea of becoming an Operating Thetan? The pattern seems to be that at each advance in awareness, the size and scope of the new goal seems to be larger than the last one. So the pattern of the Bridge seems to be a progression from smaller goals and achievements to larger and larger goals and achievements. The pattern we can see is that we move from handling our lumbosois and family difficulties to handling our first dynamic case (Clear), to handling our composite case (OT), After that there are few other designated states but the ultimate goal, written at the top of the Bridge Chart, is still Total Freedom. So let us look at what it means to be an Operating Thetan and then at the idea of Total Freedom. Much earlier in this book it was said that we are all to some extent Operating Thetans, otherwise we would not be operating a body to read this book. We took a body to continue with the pursuit of our goals and purposes. Many of us found that running a body was a lot more difficult than we had thought. Even if we managed to stay in control of our bodies before encountering Scientology, we can see that many thetans have become 'effect' of their bodies and instead of controlling their bodies, their bodies control them. In the Technical Dictionary, there are seven definitions of OPERATING THETAN. Each represents some aspect of the state but the seventh contains the best summary. 'A real OT has no reactive mind, is cause over matter, energy, space, time and thought and is completely free'. This definition is self-sufficient but there is a common misunderstanding about the state of OT to do with EXTERIORISATION. It was thought that the thetan will exteriorise from his body and travel round the universe with full perceptions. We know this can be done and most of us have had some 'out-of-body' experiences. We can develop this skill if we want, to but it is, however, not a particularly useful thing to do. While moving around in this disembodied state, the thetan cannot do much because he has not got his body along with him. He is interested in being at cause over MEST and he needs a body under good control to do this. While flying around in the MEST universe, he is still part of it and still effect of it. For an operating thetan 'exteriorisation' means moving completely out of his body and the MEST universe. This is something that can be achieved at will once one has achieved a certainty of total self-determinism and freedom as a thetan, in other words when one is an Operating Thetan. So now we come to the subject of FREEDOM. This subject has exercised philosophers for many years. In the Technical Dictionary there are four definitions. The first three concern abilities to handle MEST and absence of barriers. The fourth equates freedom with Understanding and it has the same component parts of Affinity, Reality and Communication. To understand complete Freedom one has to achieve complete Understanding. Perhaps this could have been predicted since neither can be achieved until one reaches the top of the Bridge! If one knows one has and can exercise these rights, and can grant these rights to others, one has freedom. Absolutes may not be attainable (Logic 6) but to the extent that one can achieve and grant these rights then to that extent one is free! Finally in this chapter it may be appropriate to say something about the Bridge in relation to you. Anyone who has read this far will have at least done some of the steps of the Bridge, at least to Clear. In deciding whether to continue on the long haul that we know as the Bridge, I can only offer a couple of simple suggestions that may be of assistance. Firstly be very sure that you make the decision! That means only you! Plenty of people will try to influence you, including me. Don't let any of them make the decision for you. Listen to what all of them have to say and then decide. Secondly, in Dianetics Modern Science of Mental Health, Ron suggests that the key test is 'Does it work?' For you at the moment there is probably a bewildering choice of therapies, philosophies and spiritual paths, and you probably think you haven't got time to try them all. So apply the test retrospectively. Take a piece of paper and list all the 'isms' and 'ologies' that you have experience of this lifetime. Now against each one list the gains in awareness and ability, and anything else, that you consider you have made from them. Warning: Here comes my attempt to influence you -- If you are Clear ask yourself if anything else you have done brought about changes of comparable magnitude. What conclusions -- you draw from this exercise are of course up to you. Thirdly if you have any disagreements or disappointments with any part of the Bridge or the subject, look to see if it was the subject or technology that failed or if it is possible that there was a failure in your understanding or application of it. Of course you may not need any further change and life may be going very well for you, in which case no decision needs to be made.